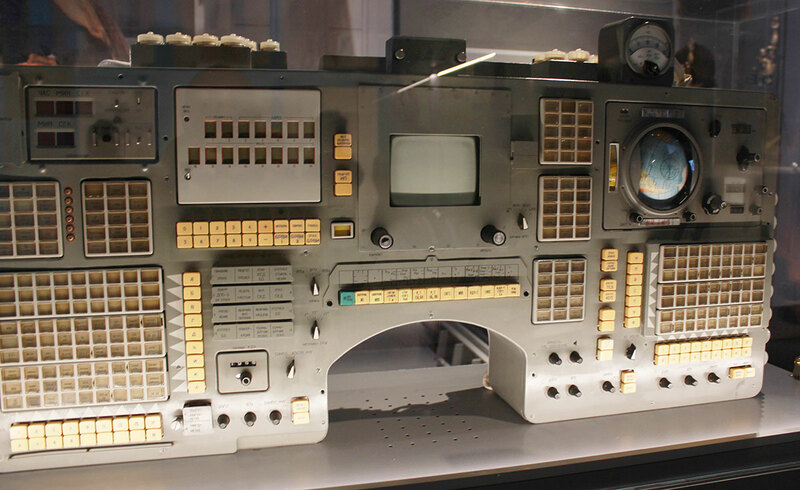 This console gives the Soyuz module’s crew information on the spacecraft’s condition and trajectory. 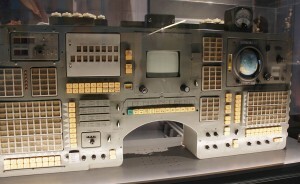 It provides a keyboard interface with the spacecraft’s computer for inputing commands during manoeuvering, docking, descent and landing. 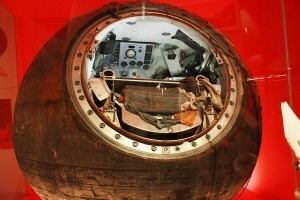 The small globe displays the craft’s position over the Earth. Aircraft pilots had long required an oxygen supply to allow flying at high altitude. 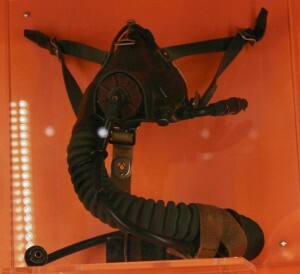 The Soviet KM-32-12 mask became standard issue and Gagarin regularly wore it during his training aircraft flights. 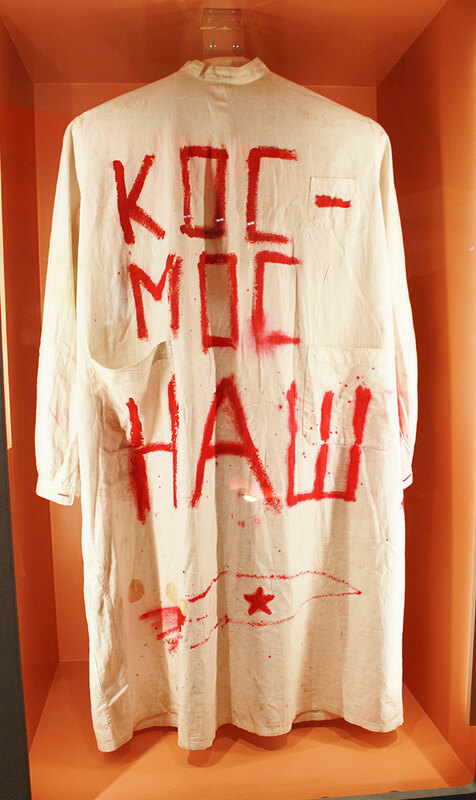 The pride and joy of crowds packing into Moscow’s Red Square to cheer Yuri Gagarin standing with Soviet premier Khrushchev showed itself in all kinds of instant, improvised ways. 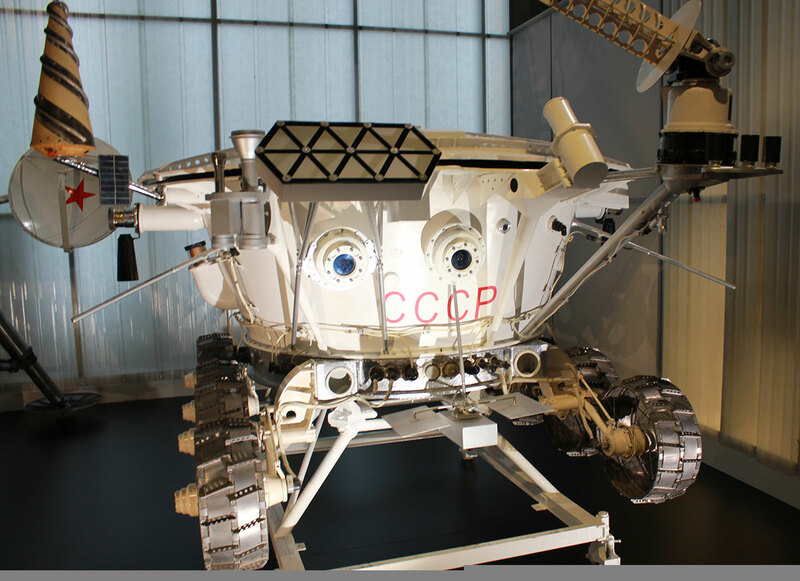 This is the actual spacecraft that took Valentina Tereshkova into space. 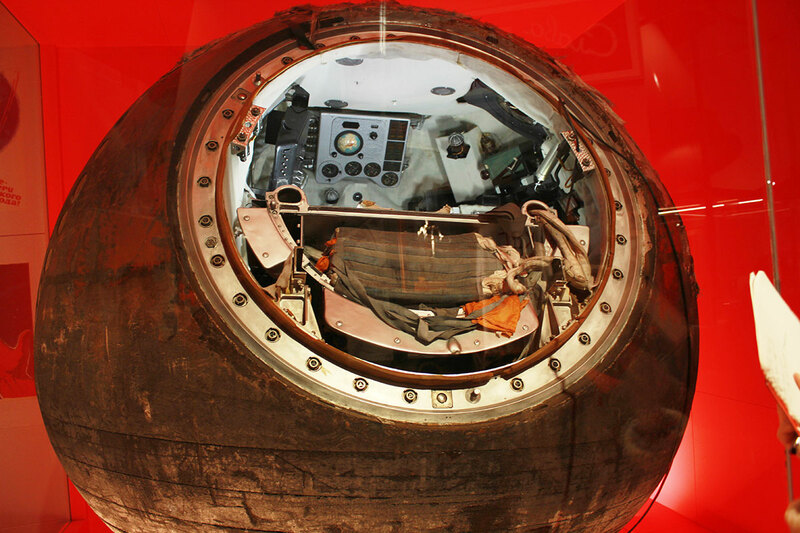 Inside, Tereshkova faced mortal danger. Soon after reaching orbit, she noticed that the spacecraft was misaligned. Ground control transmitted a new computer program to right the spacecraft. 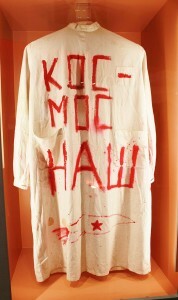 Without this her braking rocket would have fired her into a higher orbit and she would have died in space.